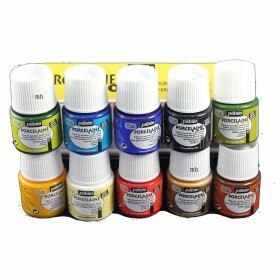 Royal & Langnickel mixed media studio easel art set. Coming from Royal Langnickel you know that you’re going to get great value for money from this set. 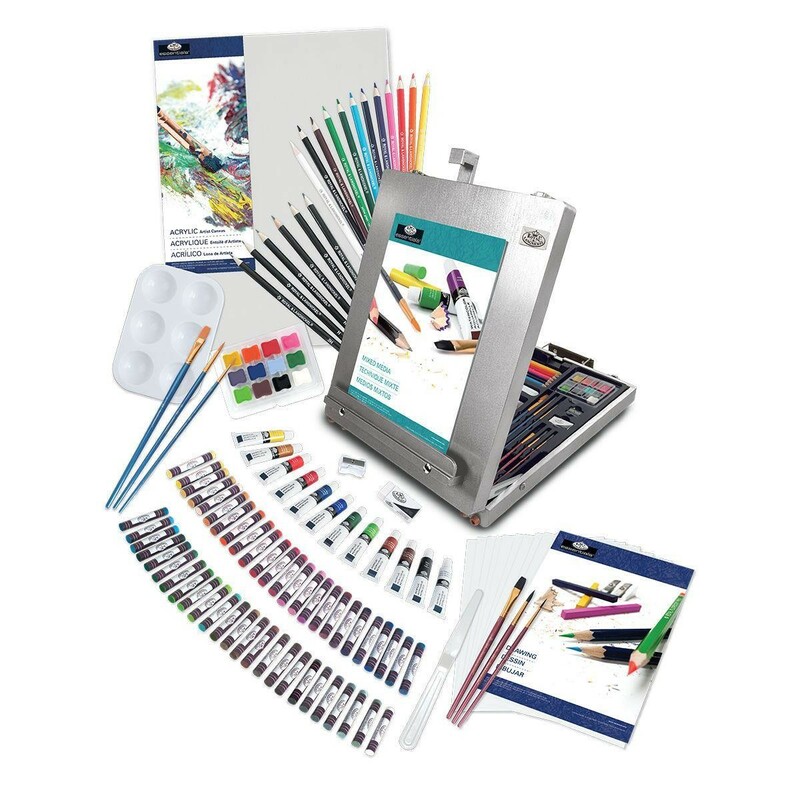 Everything is housed in a silver wooden storage box/easel filled with Royal and Langnickel essentials range of products which are ideal for anybody learning or have a taster for different art mediums that are in the set. 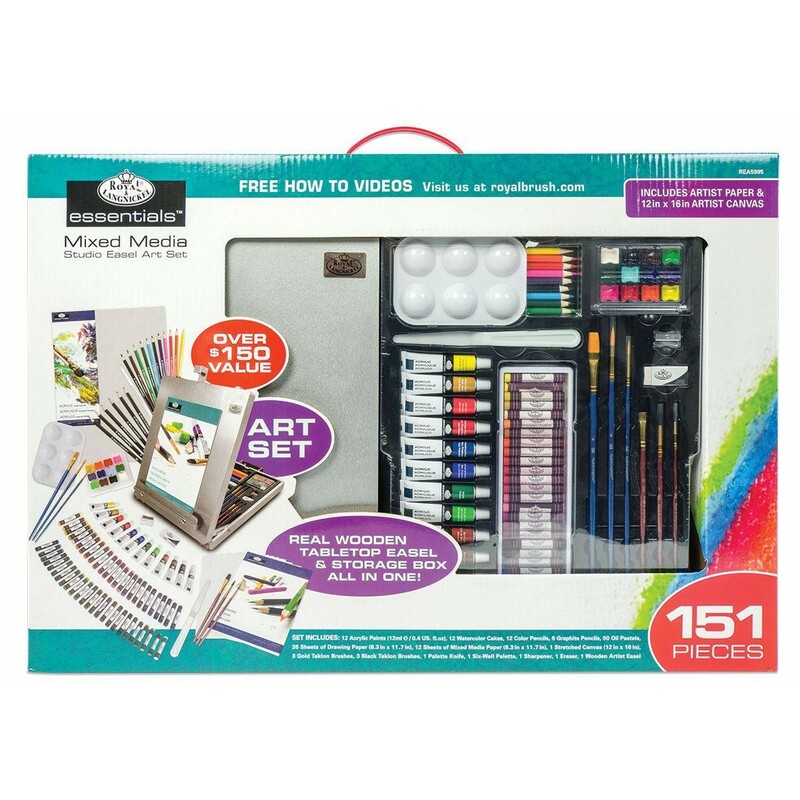 The set contains everything you need to create acrylic, oil and watercolour pictures, sketches, charcoal and pastel drawings. 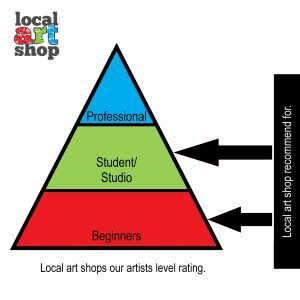 An ideal starting point for any youngster or up-and-coming artists. The tabletop easel is approximately 16 inches (40 cm) by 13 ¼ inches (33.5 cm) by 2 ¼ inches (5.5 cm). With silver fixings and leather effect handle. 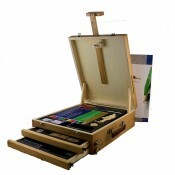 The body of the easel is made with finger jointed wood and approximately 2 to 3 mm ply board top and bottom. 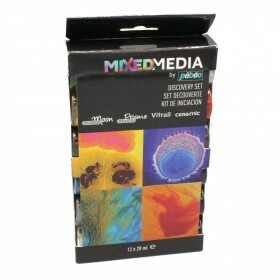 Good starter set full of different media for any beginner or improving artists wanting to give different art media a try. 1 real wood easel painted. Please note contents may be changed at any time, without notice by the manufacturer. 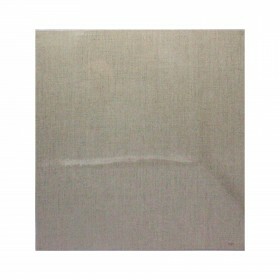 Pebeo 40x40 Artists Natural Canvas Pannel Board for oil acrylic painter.